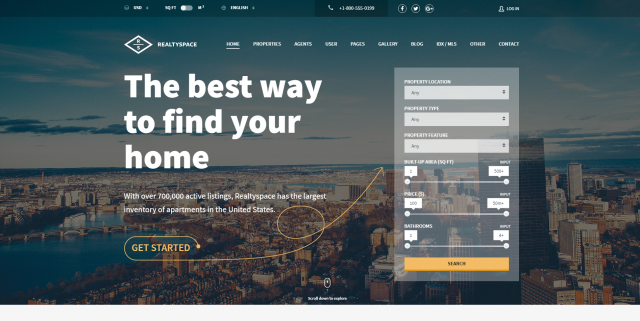 Realtyspace is a premium WordPress theme developed in June 2016 by Codefactory47. This template was specially created for the Real Estate industry, such as landholding agents and agencies. It comes with dedicated features and plugin functionalities that will help you shape every property item on your website. Realtyspace has a dynamic and beautiful design. It is built with a responsive and retina ready layout that allows you to customize your site from any device. Even if everything displays great on a wide layout, you can choose to show the content more compact with the boxed view. To add more style to your site’s framework, you can add a background image or pattern from a list of over 15 models. 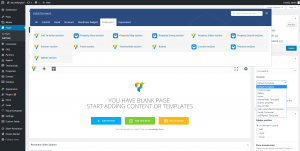 This theme comes with a built-in import system that gives you the possibility to import demo content, and you can take your new website to a quick test. 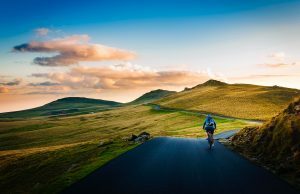 Without any predefined header or footer styles, you can still customize the above the fold and the bottom sections with beautiful background pictures and colors. Every website will be more engaging for visitors if the pages and posts have quality content. If you want to bring more dynamism on your pages, you can select to include over 10 custom elements like Property Hero Section, Map, Group, or Search and much more. You can build Properties, Agents or Partner pages. 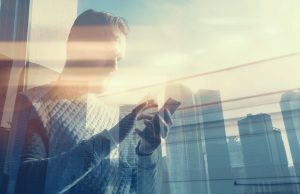 When you want to create a new Property listing, you can set up a location, a type, a map, a video tour, a photo gallery or add attachment files and complete all the proper details. Some of the impressive features that are integrated with Realtyspace are the FAQ’s and Testimonials sections – easily to be shown on pages using the drag and drop builder. The Realtyspace theme is social friendly, and your property listings will be more visible if your visitors share them on communication platforms like Facebook, Twitter, Google Plus, Pinterest, LinkedIn or StumbleUpon. The Realtyspace theme comes with all the options gathered in the Customizer on the website’s frontend, to ensure a pleasant user experience. You can modify Property Settings (map, search, submission, labels), Base configuration, Header Bar, Navbar, Footer, Share buttons, Menus, and Widgets. 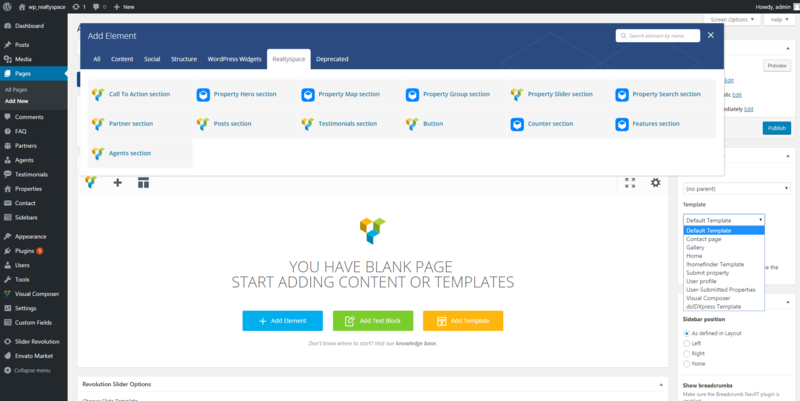 The drag and drop page builder Visual Composer comes bundled with Realtyspace giving you the possibility to create pages on the backend of your website. Realtyspace comes with nine custom widgets, the Agent List, Property Recent/Featured, Property Search and others that you can easily include into a right or left sidebar of the website. This theme comes with premium plugins like the Realtyspace Companion, Visual Composer, Revolution Slider and Advanced Custom Fields Pro. Realtyspace also includes other plugins like the Contact Form 7, Breadcrumb NavXT, Content Aware Sidebars or the Kirki Toolkit. The template is compatible with PayPal IPN, Realty Press, and iHomeFinder plugins. If you want to transform your real estate website into a multi-language one, you can rest assured as the theme is WPML plugin compatible. 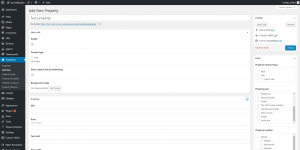 The Realtyspace theme has RTL support. We have tested the Realtyspace’s default demo on different page speed tests, and the content loads with a medium speed. 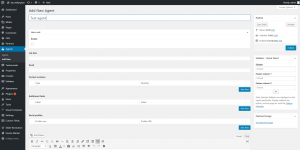 The theme only allows the possibility to import dummy content, without any pre-made demo. 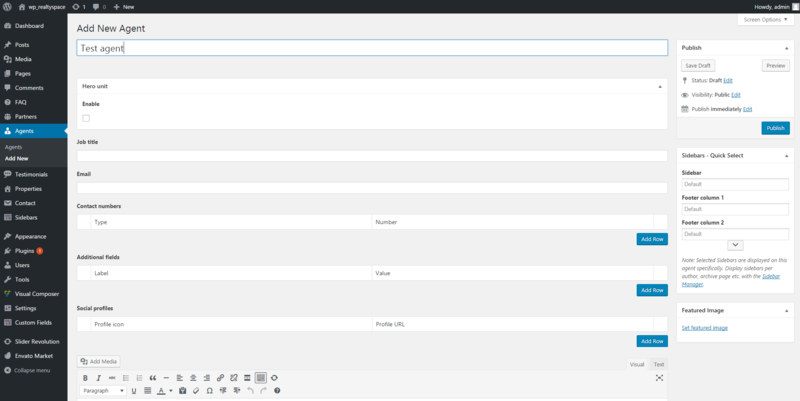 Realtyspace has a Customizer on the frontend with very few options, without a Theme Settings panel on the backend. 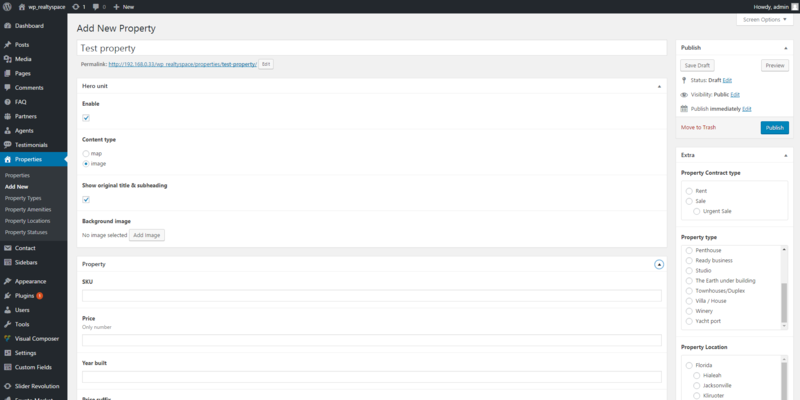 Even if the documentation is less detailed than expected, the Realtyspace theme is easy to manage. 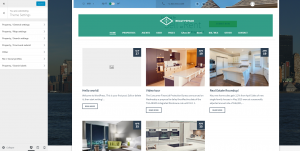 You don’t need coding skills to set up a property listing, this theme provides all the important tools to build real estate holdings and business, agents and agencies websites. 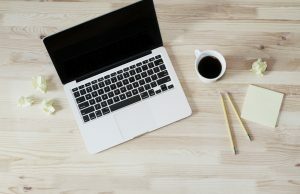 All you have to do is to make sure you have all the relevant images and information about the properties, to include them in beautiful galleries on your new WordPress site. Hi, Nirmal! Thank you for reaching out to us :). I’m not sure which addons work seamlessly with Realtyspace, but I recommend you to contact the theme’s author to let you know what they tested with this product. Sorry I cannot guide you further. This states that it is not compatible with buddypress. Does anyone know if this is still true? Their staff didn’t disclose this when I told them I planned on using buddypress.